Meet the Grimes: the world’s filthiest family. Whatever they do, this loveable lot end up covered head to foot in dirt and grot and muck. Luckily, they have a marvellous Magic Bathroom which cleans them up at the end of every grimy adventure so they can go to bed clean and cosy. 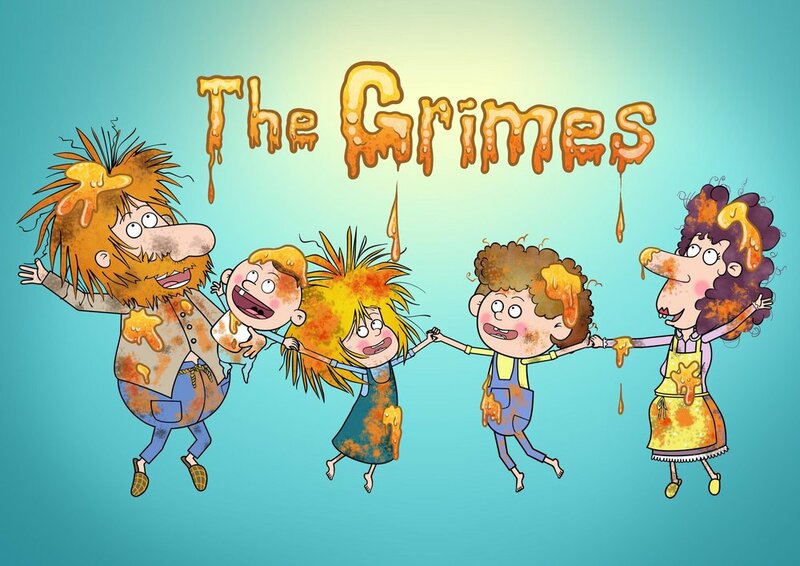 The Grimes is a sweet, fun 15 x 5-7 minute 2D animated series. Each episode is narrated in rhyming couplets, with minor acting from the family members. 15 episodes are nearing completion. More episodes are in development. The Grimes series began as a YouTube channel and now has over 50,000 subscribers with over 20 million views. The Grimes creators, a husband and wife team, want to make it clear that their series is by no means autobiographical. They say, “Our children never get dirty and our house is always spotless”.